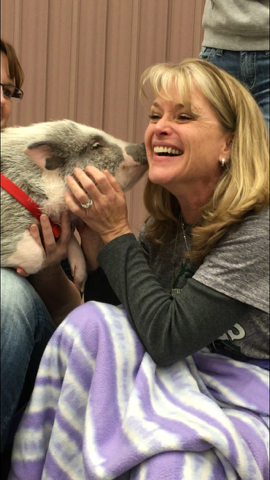 Local elementary school principal promised she’d kiss a pig if students registered. 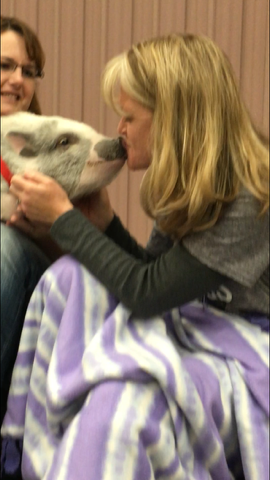 On Friday, Feb. 19, Hunsberger Elementary School principal Molly Lauf sat in front of her students and kissed a pig. Why, you may ask? 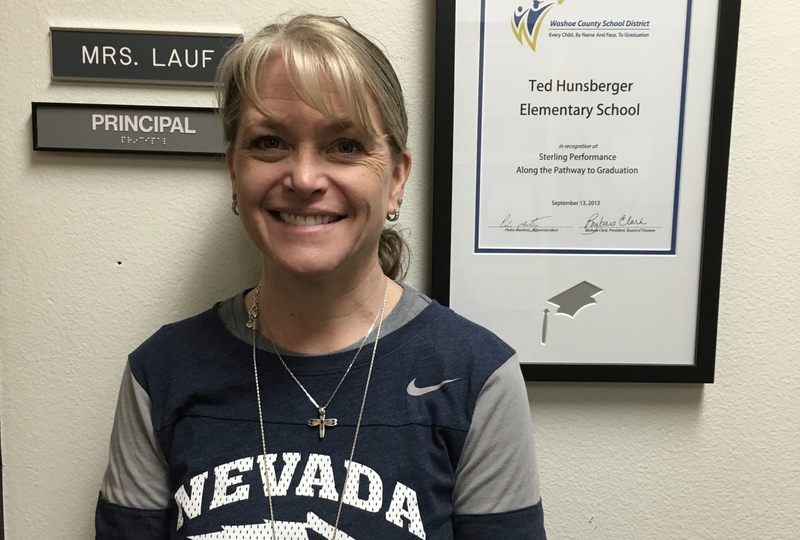 Hunsberger is an elementary school in Reno, Nev., that is participating in the Public Library Card Carrying campaign. Now, if you are an avid reader such as myself, you know that the public library is a very happy place filled with more books than you could wrap your head around. It was a smaller, local Disney Land for bibliophiles (lovers of books, in case you don’t know). Lauf made a proposal to her students: If 90 percent of the school registered for a library card, she would kiss a pig. That’s right, ladies and gentlemen. At least 90 percent of the students at Hunsberger Elementary School have registered for a public library card. This news is increasingly exciting because the school is part of Striving Readers, which is a grant promoting literacy in schools. Part of this grant is also used for community outreach. Knowing that a school so close to home for me is encouraging its students to read, and giving them the means to do so, is amazing, because if I didn’t have books growing up, I wouldn’t have anything. If it takes promising to kiss a pig to get kids to read, sign me up, and bring me to an elementary school. I love the fact that there is now a substantial population of Reno students who have access to hundreds of books they can’t find at school, as well as a school administration team who is pushing them to read outside of the classroom. Now, maybe I’m just a nerd, but reading is a fun thing to do, and it’s a hobby that definitely stemmed at a young age. This school is growing a generation of readers who may go on to become a generation of writers — or at least a generation with the most creative of minds. If you’re interested in getting your own library card, or if you want to share the library experience with your family, Tuesday night is Family Night at any Washoe County library. Go in and find your next favorite book! 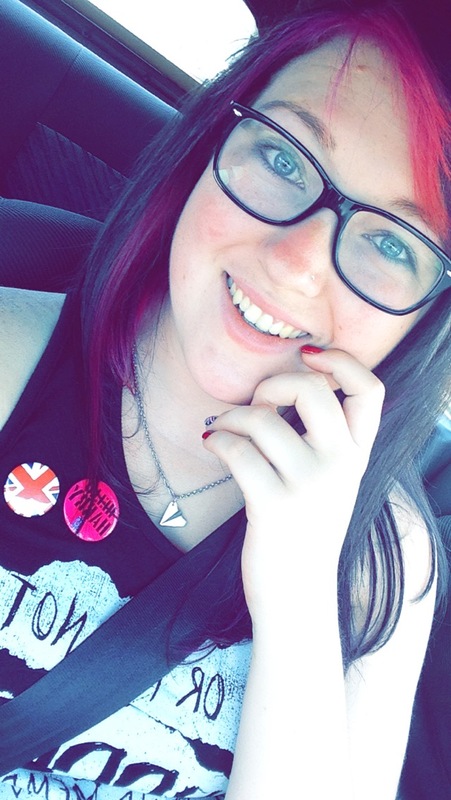 This entry was posted in ArrowCreek 411, ArrowCreek411, Hunsberger Elementary, Washoe County Library and tagged ArrowCreek 411, ArrowCreek411, Hunsberger Elementary, Kissing Pig, Library Cards, Odyssey, Scene, Tyler Grubbs, Washoe County Library. Bookmark the permalink.